Dr. Allison Case, right, and Wendi Mello examine Tundra. 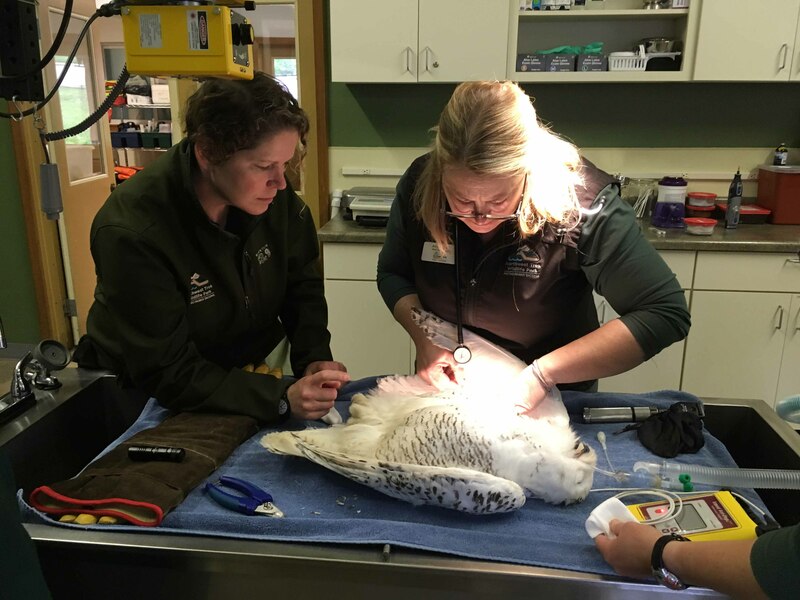 Northwest Trek Wildlife Park’s two new snowy owl siblings received their first wellness exams at Northwest Trek. The exams included a complete hands-on physical inspection from beak to toe, including radiographs, weight, eye and ear exams, and blood work. And keeper Wendi Mello, veterinarian Dr. Allison Case and technician Sara Dunleavy even included a beak trim and claw clipping. All of these tests provide a good picture of overall health and allow veterinary and animal care staff to monitor any changes over time. Both snowy owls are in great condition and received extra TLC following their exams.